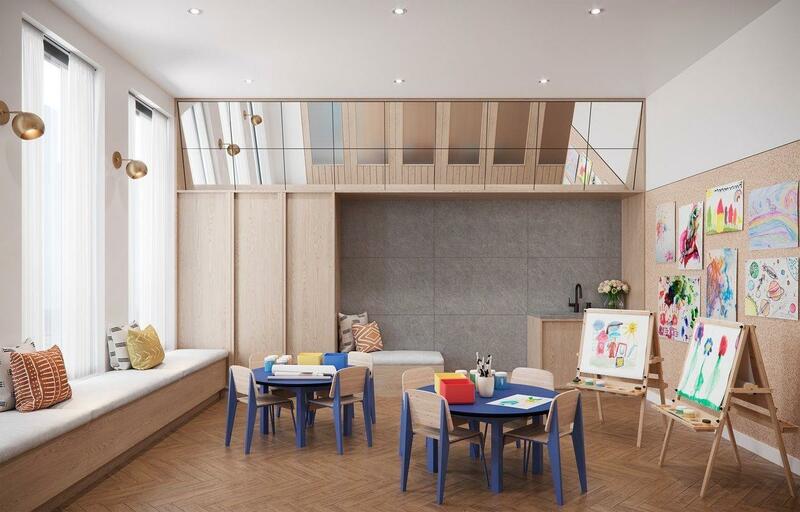 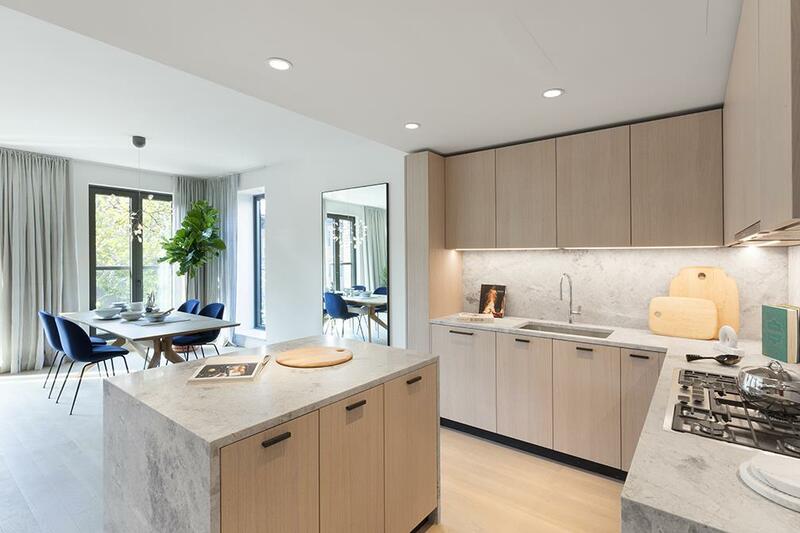 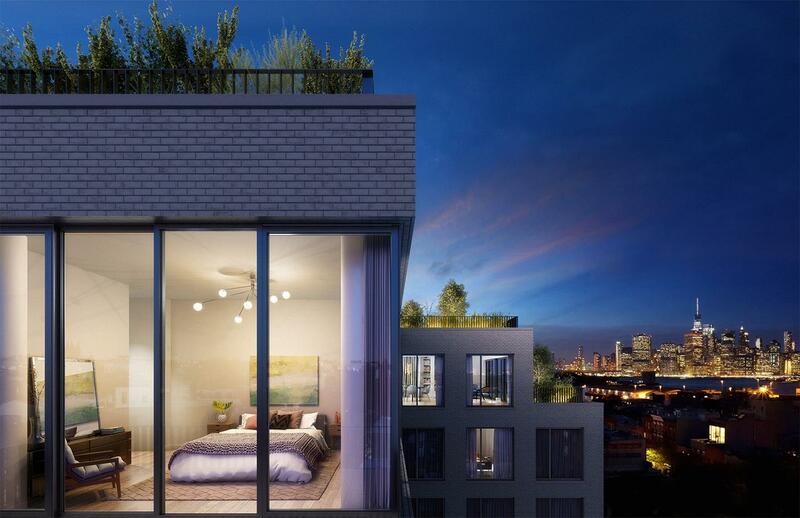 A stunning garden apartment designed through a lens of Scandinavian elegance and functionality, this 4-bedroom, 3.5-bathroom home with a 1,646 sqft private garden terrace!. 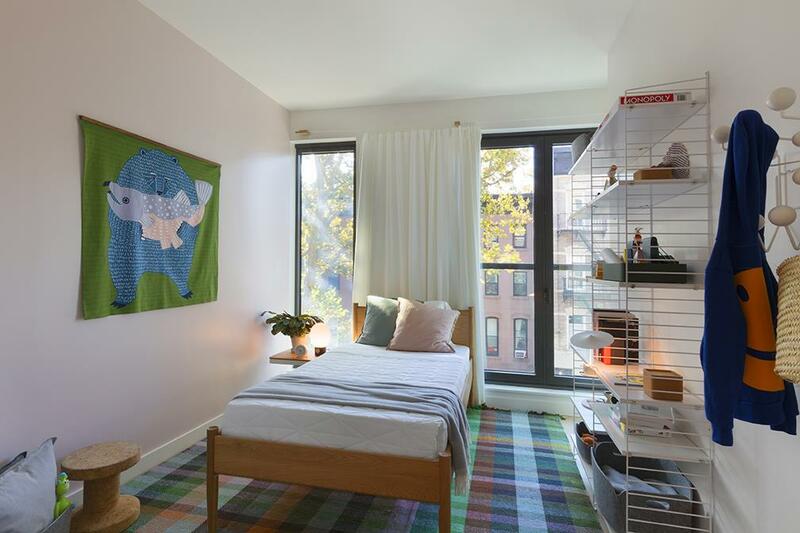 Features of this 2,154 sq. 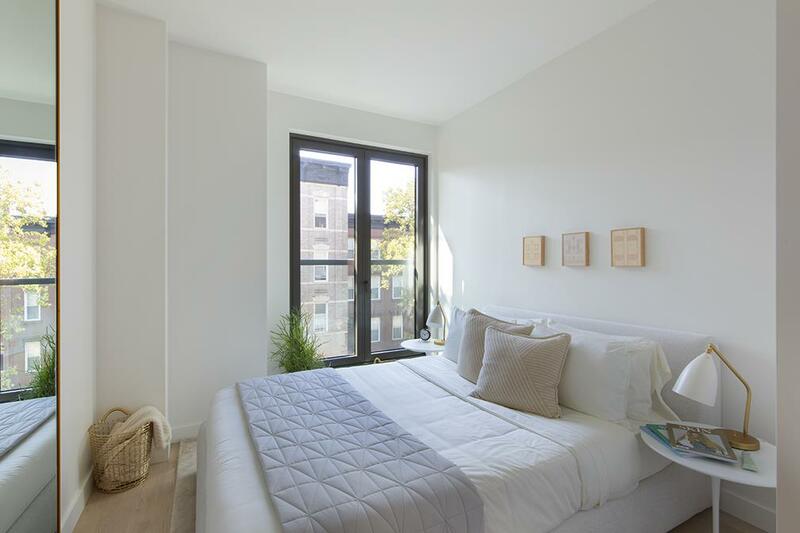 ft. apartment include fench door-inspired floor-to-ceiling windows with northern,eastern and southern exposures, gorgeous white oak floors, airy 9-ft ceilings, multi-zone heating and cooling, and a large walk-in laundry room. 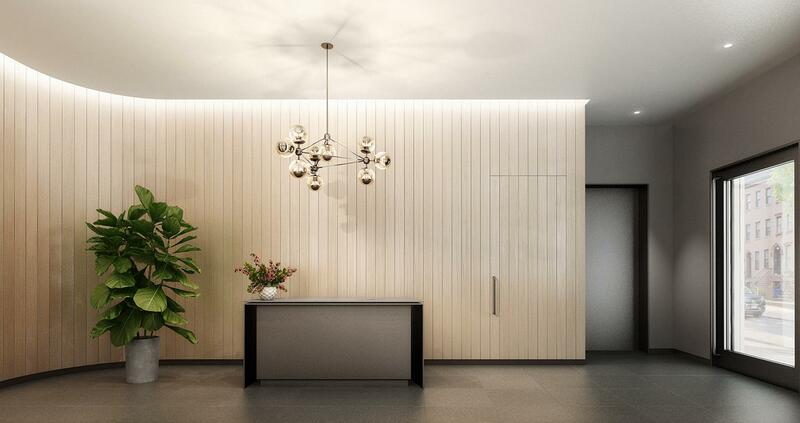 Beyond a tasteful entryway foyer adorned with a coat closet, the home flows into a luminous, open-concept living room, dining room, and kitchen. 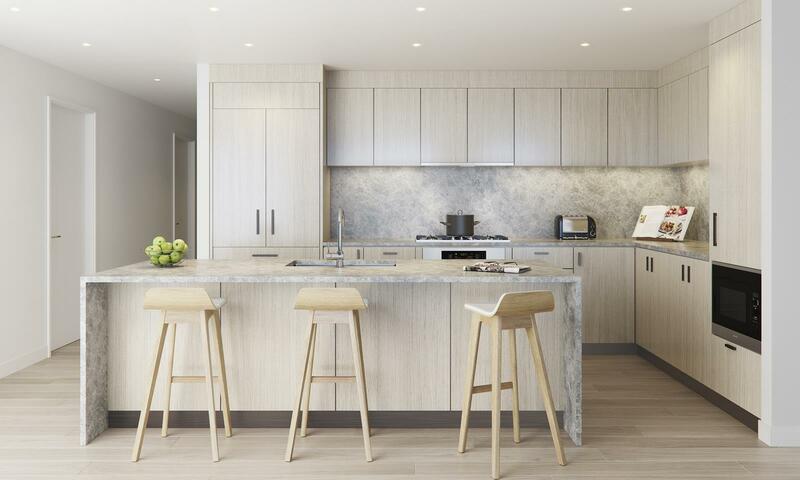 The kitchen is equipped with a massive kitchen island, custom oak cabinetry, Tundra Gray marble countertops and backsplashes, and a suite of fully-integrated Miele appliances. 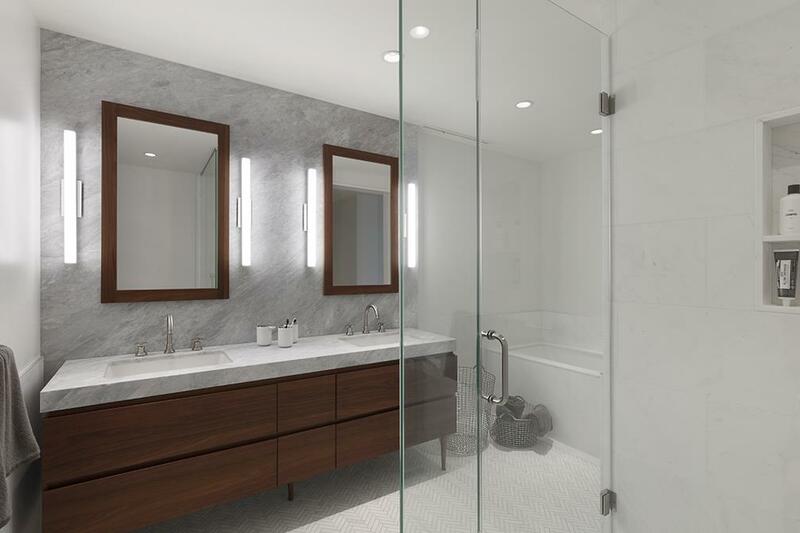 The tranquil master suite lies away from the living area and possesses a large walk in closet as well as an en-suite bathroom with marble walls and floors, a custom walnut vanity with his-and-hers sinks, a glass-enclosed walk-in rain shower and a soaking tub. 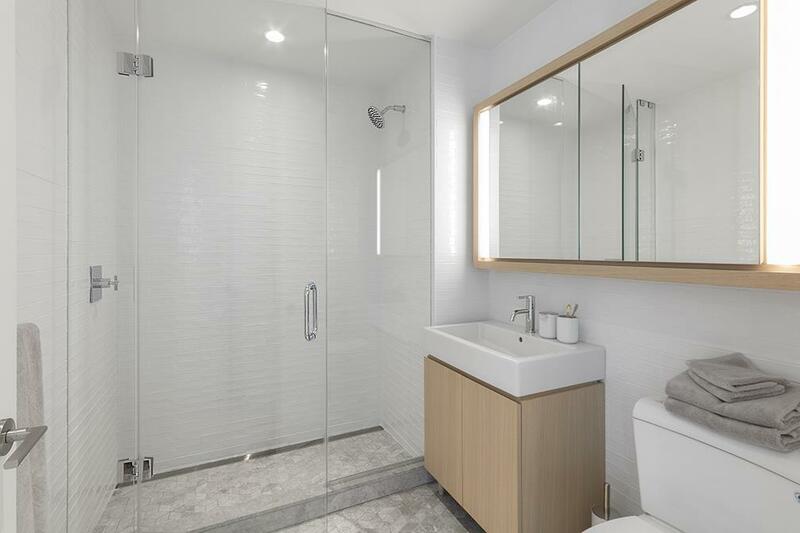 Across the hall you have a second bedroom and bathroom suite with two gracious third and fourth bedrooms that share the third full bathroom as well as the powder room. 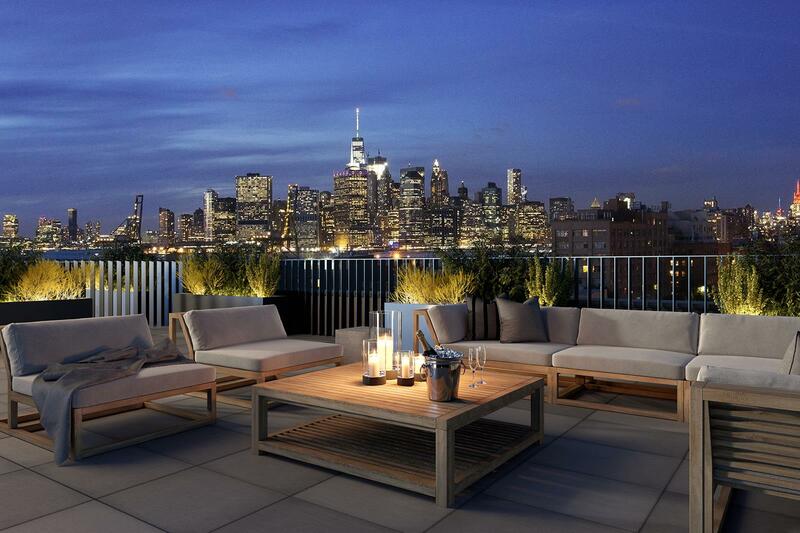 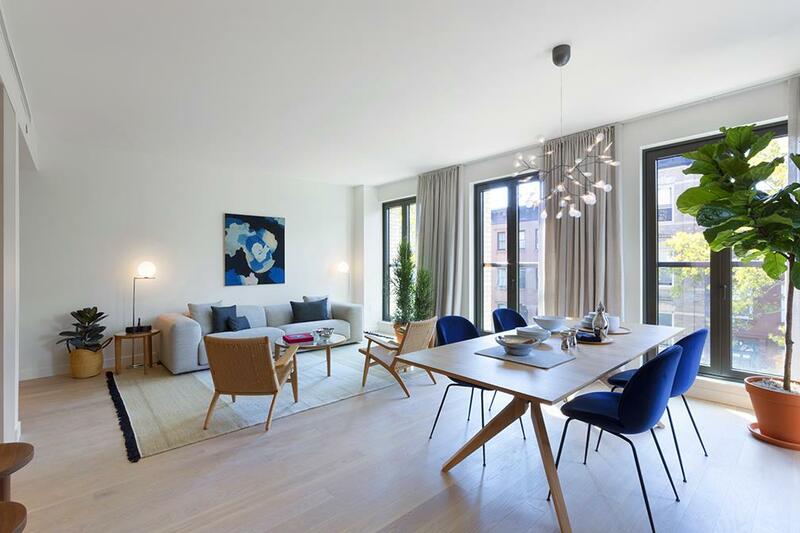 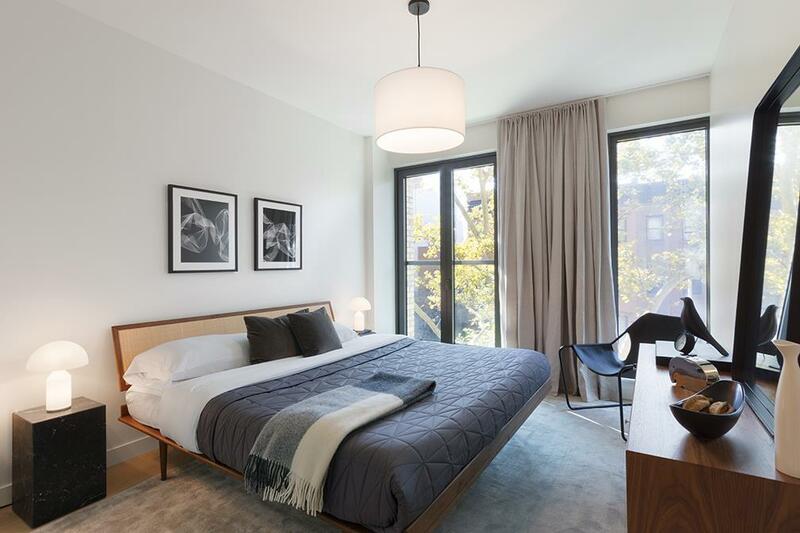 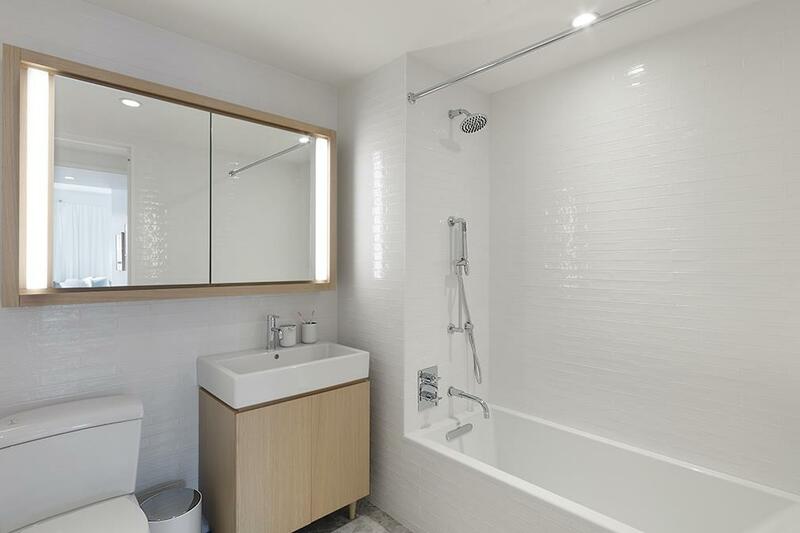 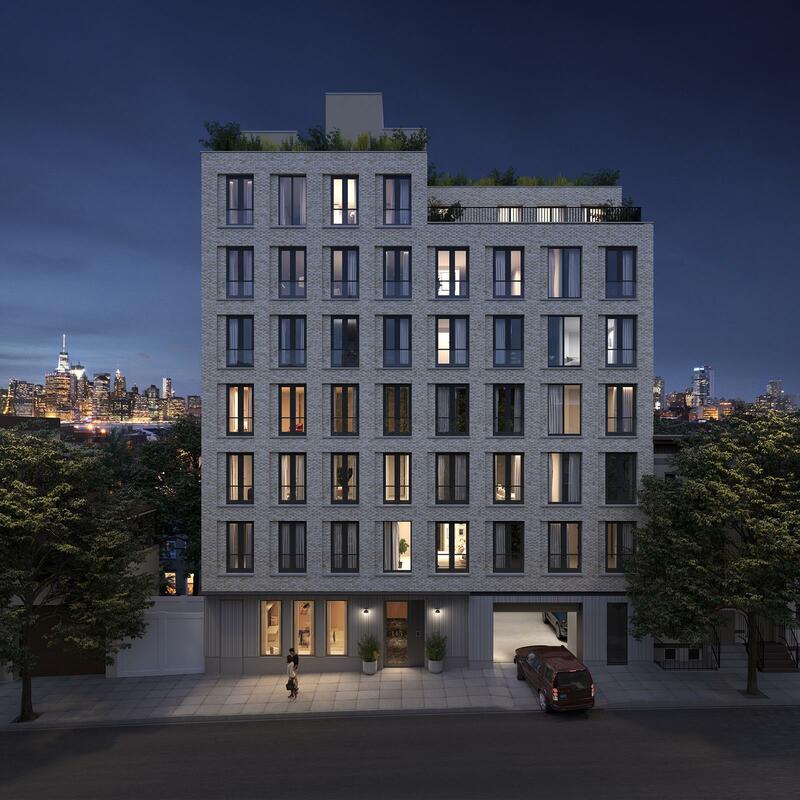 Set on a picturesque, tree-lined street, 145 Carroll Gardens is a brand new condominium boasting 17 homes of unparalleled luxury and style. 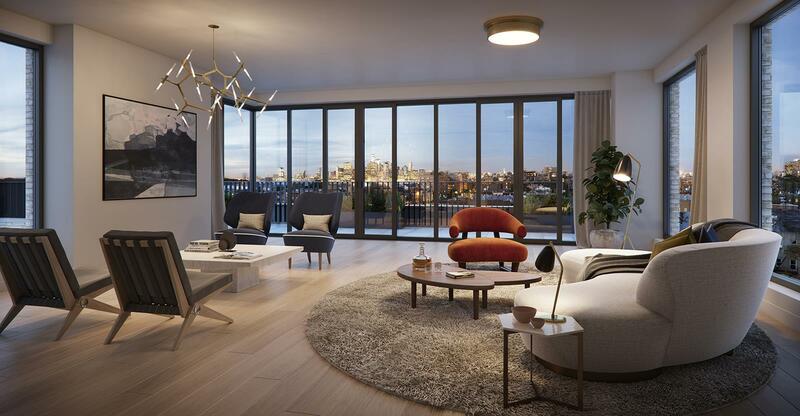 Blocks away from Cobble Hills shops on Court Street, Columbia Waterfronts idyllic beauty, Red Hooks burgeoning food scene, and Carroll Gardens charming coffee shops and bakeries, 145 Carroll Gardens is truly centered at the heart of it all. 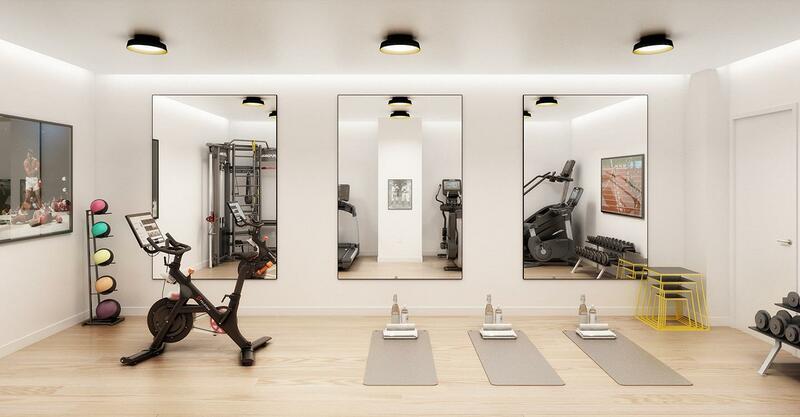 Building amenities include a fitness center with Peloton bikes, childrens art room, a virtual doorman system, package room, private storage for every residence, available on-site parking, and a common rooftop terraces with breathtaking views of Lower Manhattan Skyline, the Upper Bay, and the Statue of Liberty.